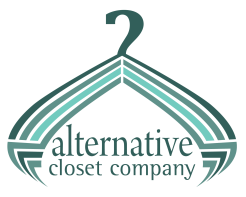 Alternative Closet Company, established in 1988, is a family run business providing quality, value, versatility and design in custom closet systems. Alternative Closet Company offers a variety of finishes to choose from. Whether you select a value priced white melamine laminate or one of our many wood grains, the quality of workmanship and satisfaction of design is guaranteed. Solid wood drawers or door faces combined with wood grain melamine provide an elegance that makes your closet or dressing rooms as beautifully appointed as the rest of your home. The process begins when one of our designers visits with you in your home. The designer will discuss your storage needs. They inquire about the wardrobe and if there are special needs. The designer divides the space into separate sections for different parts of the wardrobe. Drawers for socks, undergarments, jewelry and other accessories as well as a hamper with a removable laundry basket are just some of the options that go into a custom-tailored design. In addition to beauty, elegance and functionality, Alternative Closet Company is the best value in the closet industry today. As an independently owned company we pride ourselves in customer satisfaction. We are fully licensed and insured. When you're looking for affordable elegance, there's only one ALTERNATIVE.